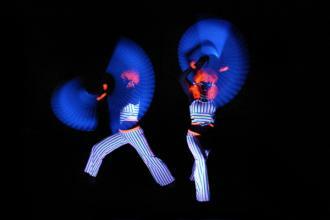 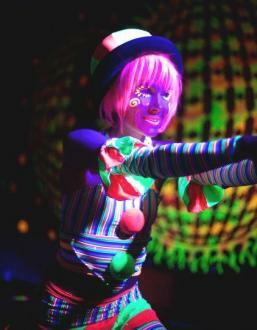 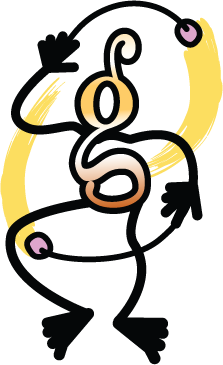 UV Twirling, Juggling, Fan Performance, and Hooping creates an explosion of iridescent light moving within and around UV Costumed Characters. 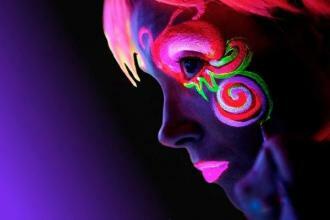 A Visual Feast of electrifying radiant trails create an entrancing and mysterious show. 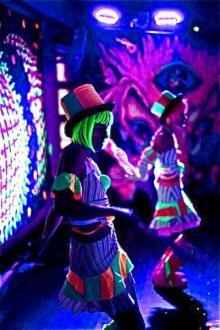 Unique and electric, Liquid Light will remind your audiences about the illusion and magic of life itself. 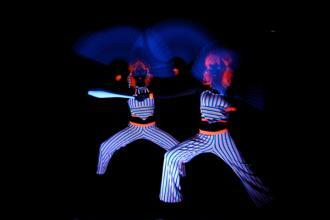 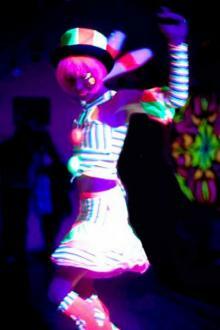 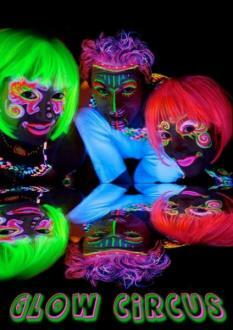 * Have performed for the duration of both of Sydney's Light Festivals "VIVID" in 2009 and 2010.